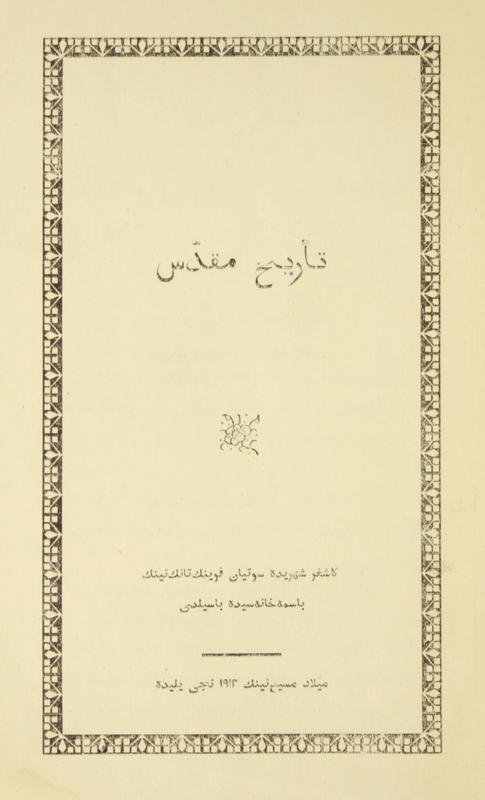 This book was translated into Eastern Turki by Magnus Bäcklund (d. in Kashgar 1903), Högberg, and Andersson. Like many other school books printed by the Swedish Mission in Kashgar, this publication was based on a Swedish original. For the Swedish original from the year 1900 see: Norlén, M. V. & Lundgren, J. F., Biblisk historia för folkskolan. Stockholm 1900.